A dramatic sterling silver necklace featuring garnet, citrine and seraphinite. 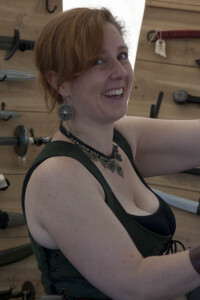 Photo by the author, sockii. 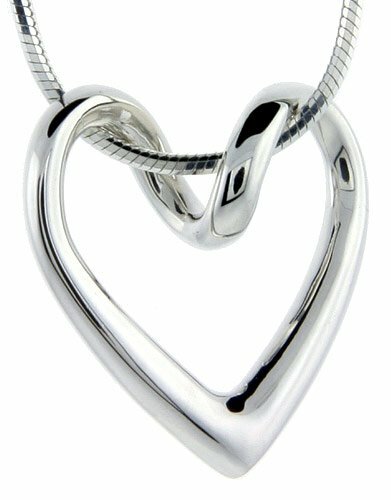 I managed a jewelry store/art gallery for many years in Philadelphia, and of course one of our busiest sales periods annually was the time leading up to Valentine’s Day. Many men would come in to our store seeking Valentine’s Day gifts for their wives, girlfriends or partners and I would try to help them find just the right gift for the special women in their lives. While some men knew exactly what their loved ones liked and what would suit their tastes, others were much more in need of assistance in trying to pick a suitable gift. Based on my experience, I’ve created this article to share some general tips on how to pick jewelry for Valentine’s Day that the woman in your life will really like – and actually want to wear! Whether you are shopping for a small token of affection or perhaps “the” ring, there are general tips to keep in mind that will help you avoid a Valentine’s Day disaster or an embarrassing return/exchange of gifts. 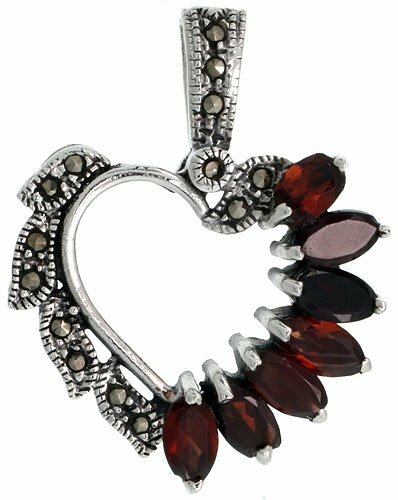 I’ve also included a number of suggestions of classic Valentine’s Day-style jewelry items which are almost sure to please, from traditional styles to the latest designs and trends. Remember: These tips and suggestions apply for any holiday or gift-giving occasion like Christmas, a birthday, or Mother’s Day – not just Valentine’s Day! Buy what you know SHE likes – not what YOU like. How would you describe this woman’s jewelry style? 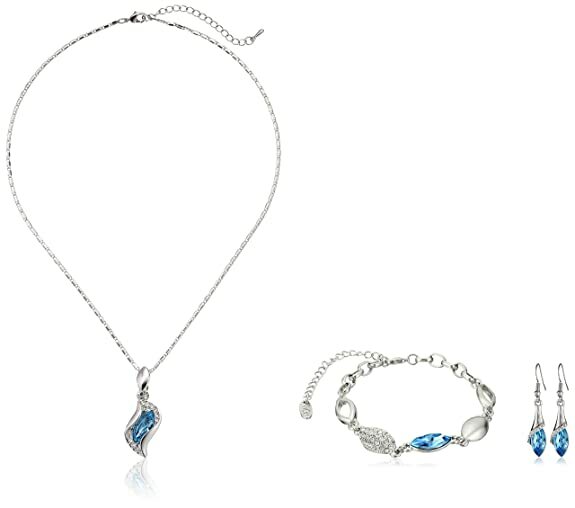 Would you be able to pick out a piece of jewelry she would probably wear? This mistake is one I saw men make over and over again in my store, even when I tried to lead them to make different choices. And almost inevitably it would result in them returning to the store, often with their loved one along, in order to exchange the jewelry after Valentine’s Day. When I would ask him if their girlfriend/wife generally liked to wear big jewelry pieces, he would then say, “No, she usually wears very small and delicate pieces.” Yet despite my trying to lead him toward something more appropriate, he would stick with the piece HE liked the best – only to come in to return it after the holiday because nope, she didn’t like it at all even though he did. Does she have certain colors she prefers in both her jewelry and her clothing? What kind of jewelry items does she tend to wear a lot or not at all (ie, earrings, necklaces, bracelets, pins, etc)? Does she tend to wear silver more than gold, or have certain metal allergies that limit the jewelry she can wear? 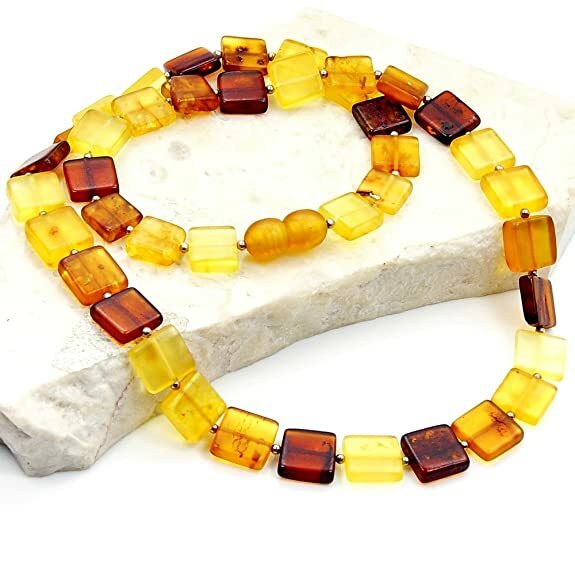 Does she like small, delicate pieces or large ones that make a bold statement? Is she extremely fashion-conscious and like to wear the hottest current styles? Or does she prefer classic styles over trendy ones? Is she a conscious shopper who prefers hand-made, artisanal clothing and accessories over mass-produced items? 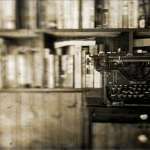 If so, you might want to check out local arts collectives, craft boutiques, or online sites like Etsy for unique items that suit her ethics as well as style. 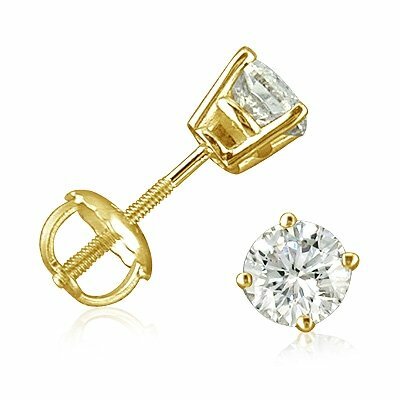 What may appeal to your eye may be entirely different from the kinds of jewelry she regularly wears, so it’s important to shop with her tastes in mind and not your own. And if you’re not sure, let the salesperson at the jewelry store help guide your selection based on the how you can answer the questions above. 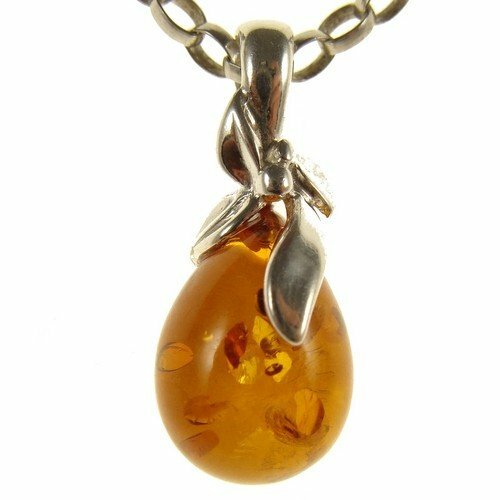 Here’s a test/example: Say you know your Valentine loves amber and wears a lot of amber jewelry. Which of the pieces below looks like something she normally would wear, or seems to fit her style? There are lots of possibilities so be sure you have some sense of what she normally likes before just buying something you think looks cool/expensive/extravagant. 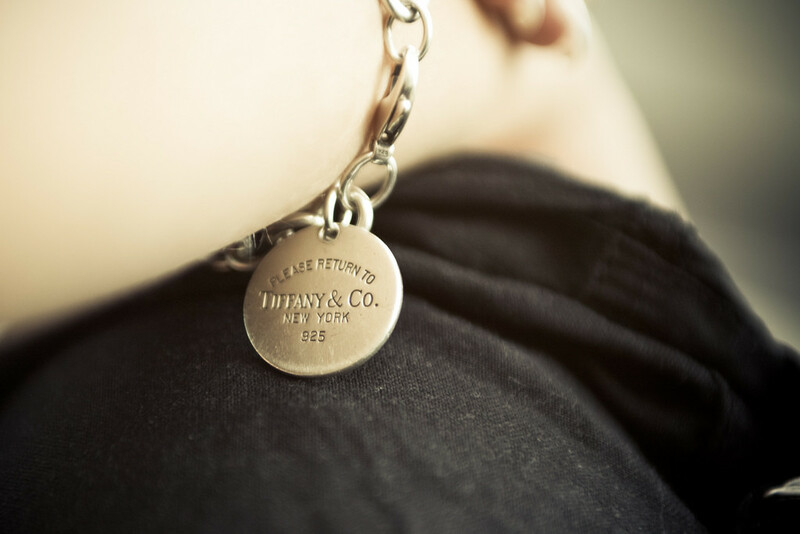 If it doesn’t have the Tiffany & Co name on it, it’s not the real thing. Photo by Stephan Mazurov on Flickr, licensed under Creative Commons Attribution-ShareAlike 2.0 Generic. Here’s another tip: If you know your special someone likes designer jewelry? Don’t buy her a cheap imitation piece for Valentine’s Day; be sure to buy the real thing. For instance, Tiffany & Co. is one of the most famous jewelry designers out there today – and also one of the most imitated. If something says it is “Tiffany-inspired”, then it’s not the real thing. It might even be illegal. So shop with authorized retailers or be very cautious in reading item descriptions on-line. And by research I mean not just the technical details about diamond quality, carat size and pricing. Of course these factors are important, but it’s also important to have some sense of the style of ring your loved one would actually want to wear. Remember that an engagement ring is not just a piece of jewelry one puts on occasionally for special events – it is something she’ll be wearing daily for a considerable period of time, so try to make it a ring in a style she’ll enjoy and really like. Does she like yellow, rose or white gold better? Does she prefer contemporary or more traditional or vintage styles? Does she work in a job where a ring with a high-set diamond would be awkward or difficult for her to wear? 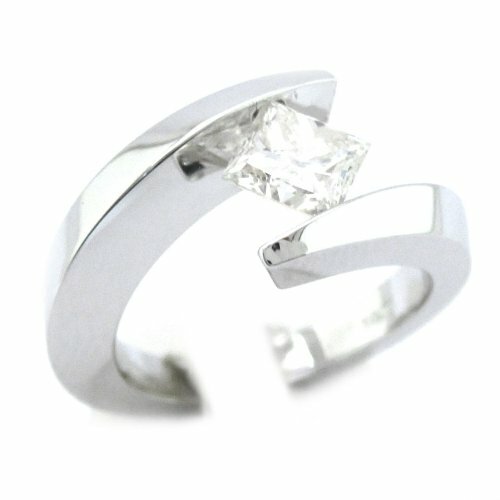 In such a situation a modern-style tension set ring or diamond band might be a better choice than a classic solitaire. 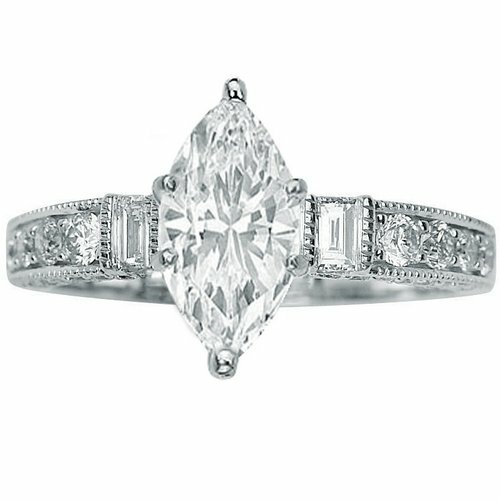 Would she prefer a completely non-traditional engagement ring, without a diamond? Lastly, consider being non-traditional yet practical and go shopping to pick out an engagement ring together. That’s the best way to know you’re getting her the ring she really likes and that it will be sized exactly right. 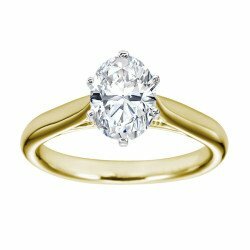 You can even work with a jewelry craftsman or store to have a custom ring designed exactly the way you want it, from picking the setting to selecting the exact stones. You can also spend some time browsing the selection of rings available from retailers like Amazon, to try to find design types you and she likes—and to get some idea of pricing depending on materials, stone size and quality. Yes, you can even buy an engagement ring via Amazon! 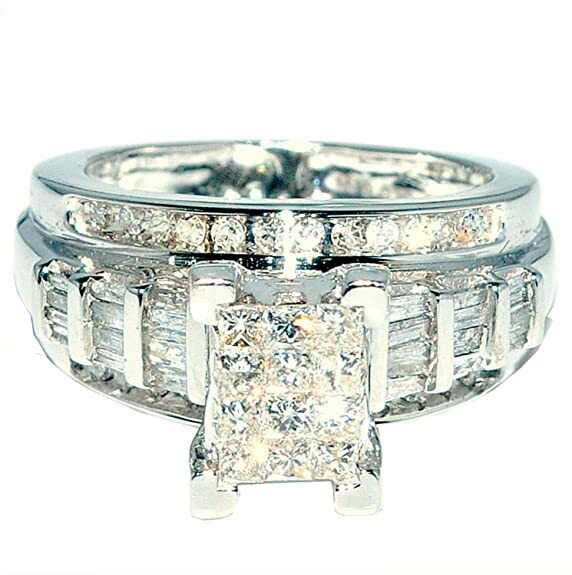 But be sure to understand information on carat sizes, sizing and if available read customer reviews before committing your wallet to an item such as an engagement ring via an online retailer. Not quite ready for an engagement ring yet? 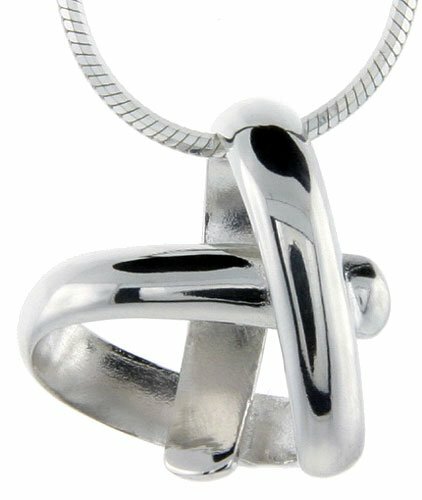 …or perhaps looking for something to go nicely with the ring you’ve already bought her? 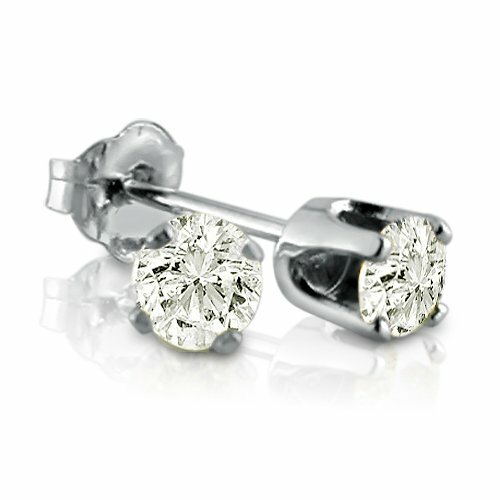 Diamond stud earrings are a classic and something that’s hard to go wrong buying for a woman who likes fine jewelry. They are available in a range of prices and styles and make for a thoughtful, higher-end Valentine’s Day gift. Just don’t try to fool her by getting a cheap pair of Cubic Zirconia earrings instead! If you haven’t heard of Pandora yet? Now’s the time to learn. 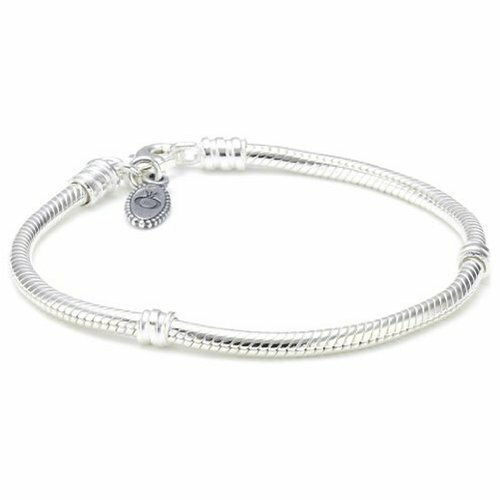 Pandora bracelets have been all the rage for a while and it’s a perfect way to create a personalized piece of jewelry for your loved one. 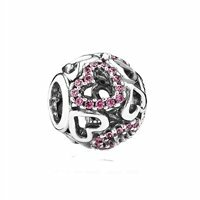 The add-a-bead style lets you (or her) add charms one by one to represent anything you like: love, family, interests, accomplishments, birthstones, anniversaries…there are countless possibilities. So why not get her a starter Pandora bracelet and a few charms, which you can add to with time and as your relationship continues to grow? 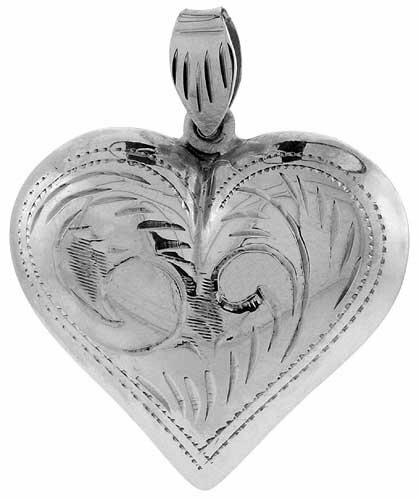 Heart pendants like these were always big sellers in my store for Valentine’s Day, and truly it’s hard to go wrong with such a classic gift item. Many women tend to love them: indeed, after Valentine’s Day I often sold plenty of these to women who were annoyed their husband or boyfriend hadn’t bought one for them yet! 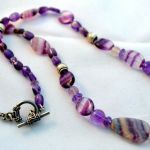 If she is very thin or petite, a 16″ or 18″ chain is likely your best bet for a necklace that will sit high on her neck. For someone extremely petite you might want to even go for a 14″ chain. 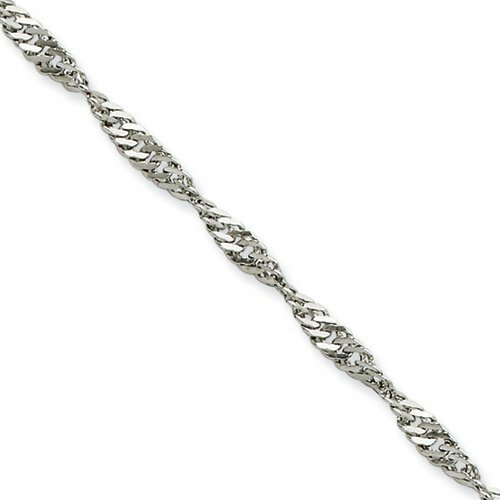 A 20″ chain is a safe bet if you are uncertain about what length to get her. 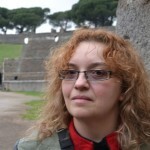 It is also a good length because for most women it can be worn over heavier clothing and sweaters and still be viewable. 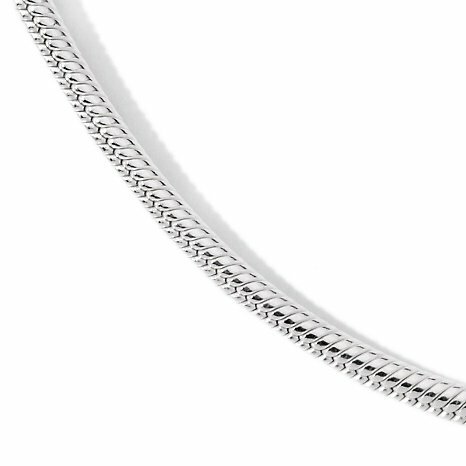 A 24″ chain is good for a woman of larger size, or someone who likes necklaces that fall lower down onto her chest. It’s also a good bet if she likes wearing multiple necklaces at the same time, and doesn’t want them all to fall the same length. 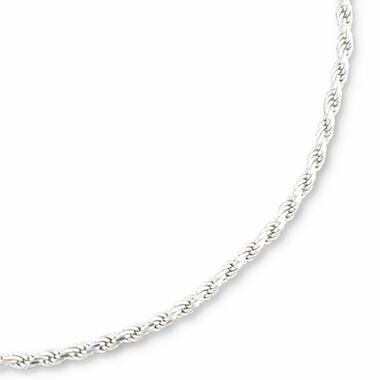 A 30″ chain is good for a woman who wants to be able to put on a necklace “overhead”, without having to fuss with opening/closing a clasp. However, I wouldn’t recommend a 30″ chain unless you know for sure that is the length she needs or likes to wear best. 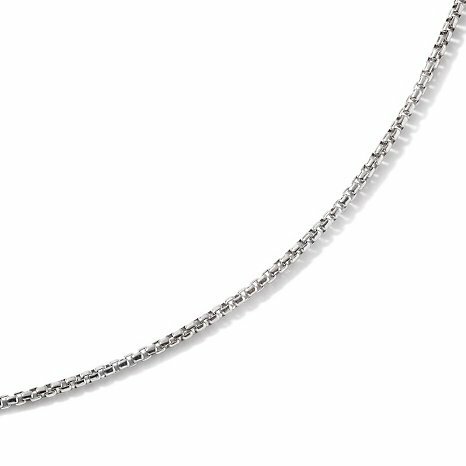 Chains also come in various styles from classic box links to smooth Italian “snake” chains. 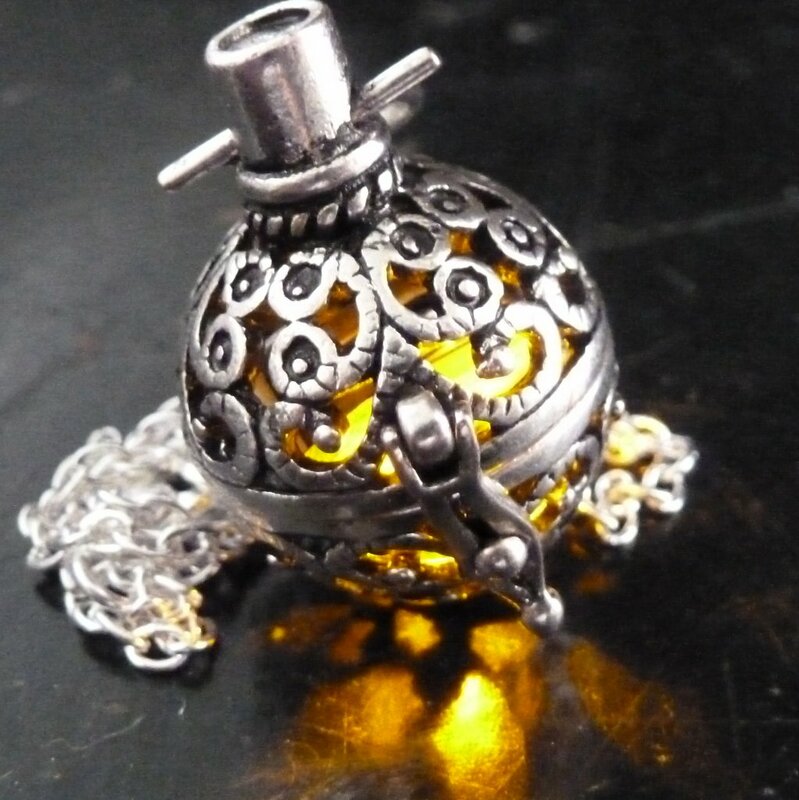 Try to pick one with a finish and look that will complement the pendant nicely (for instance, a pendant in a smooth shiny setting generally looks best with a round or square-finish box chain. 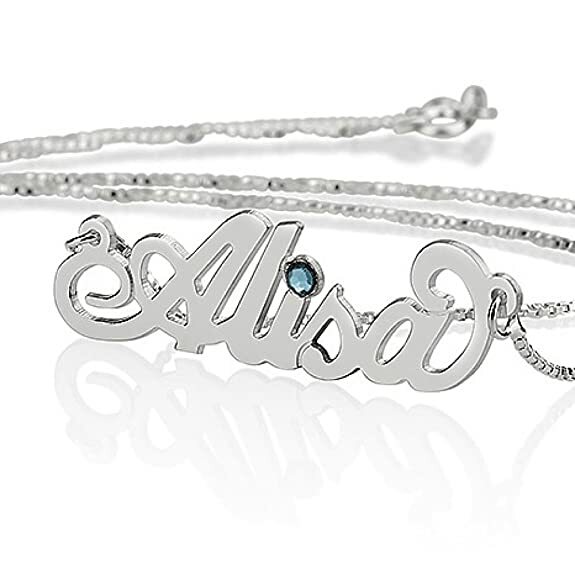 Celebrate her birth month – and yours as well! You DO know your special lady’s birthday, don’t you? Once you’ve got that figured out, check a birthstone chart and you can pick a piece of jewelry out for her to celebrate it. 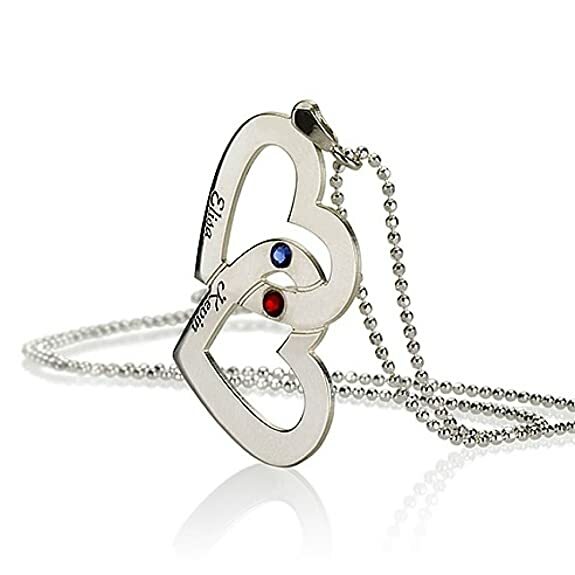 A nice choice would be a heart pendant or other item which can be personalized with her name. 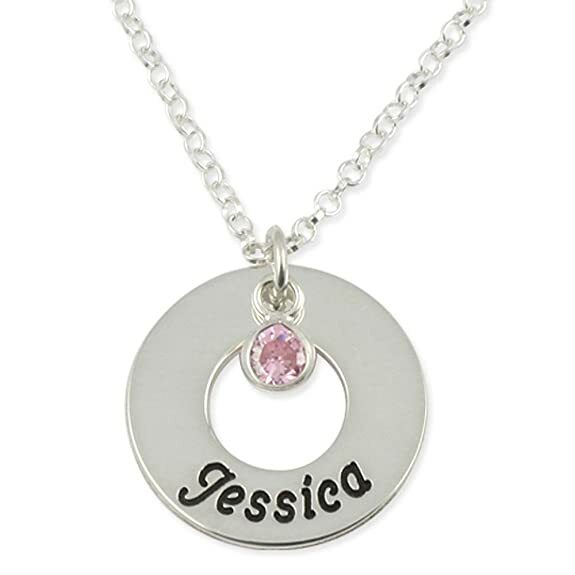 You can even order rings and other items with both of your names and birthstones included – really nice way to showcase your love for each other. I hope you found these tips and ideas helpful in finding the right piece of jewelry for someone special in your life – whether for Valentine’s Day or any other holiday or celebration. These are good tips Sockii. Fit is important too. In case someone else is reading this, if you notice they tend to wear their necklaces longer, that is important. There is nothing more frustrating than getting a gift that doesn’t fit. 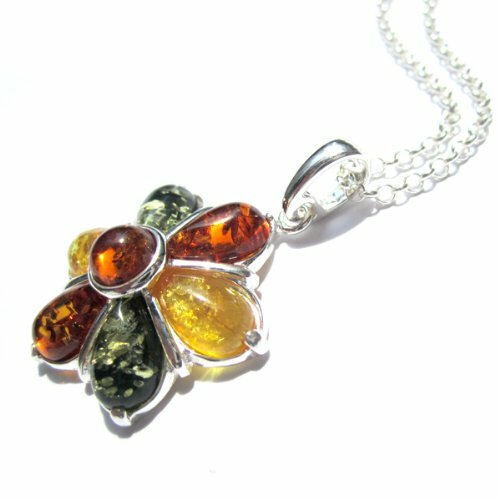 And jewelry is like clothes: some people like their pendants to hang longer, shorter or choker length. And when it comes to earrings, some like posts, dangles, longer dangles, or more hefty pieces. Unfortunately I have one hole in my ear that is off, and I have to wear lighter earrings. You bet I told my hubby this. 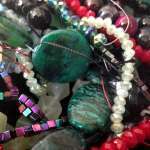 Great Tips for shopping and you really have great collection of jewelry. Thanks for sharing. My wife’s birthday is coming up, and I really wanted to get her something nice! A really pretty necklace was what I was thinking about. But I’m not sure on what kind to get her. So I really appreciate you talking about this, and giving me some great tips on how I can make sure I buy her a great necklace. Thanks for the help. I’ve found that buying during the holidays is rough. 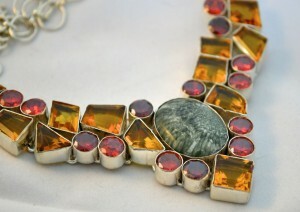 I’m going to buy a necklace now to save a little money and time.We like to buy each other different types of jewelry. I like your tip about buying what they like and not what you like.